The G Series is a variable height, self-leveling platform. 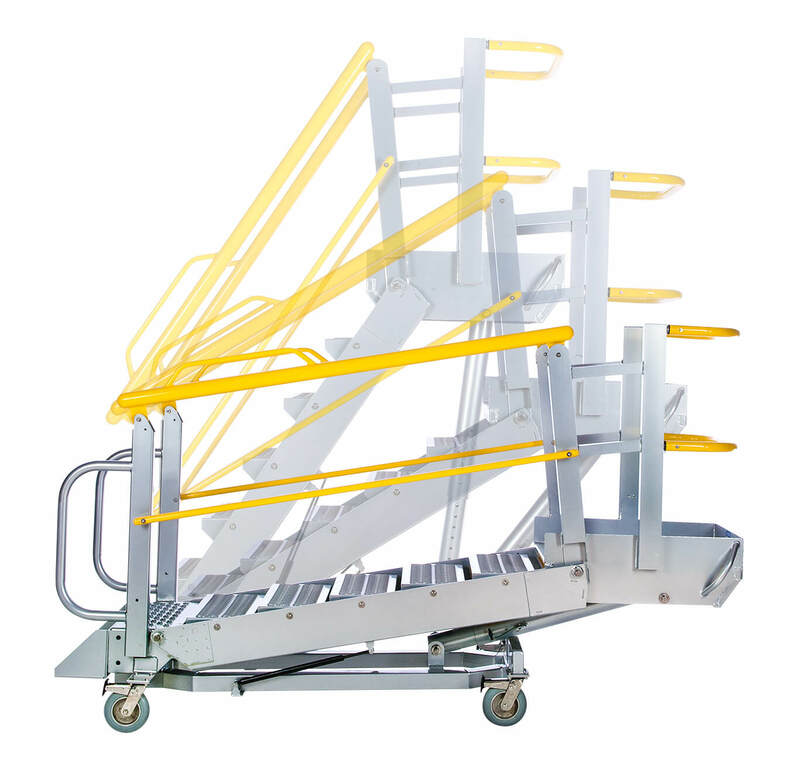 The various height settings allow operators to work at the correct height for the job, in multiple locations with a single platform. 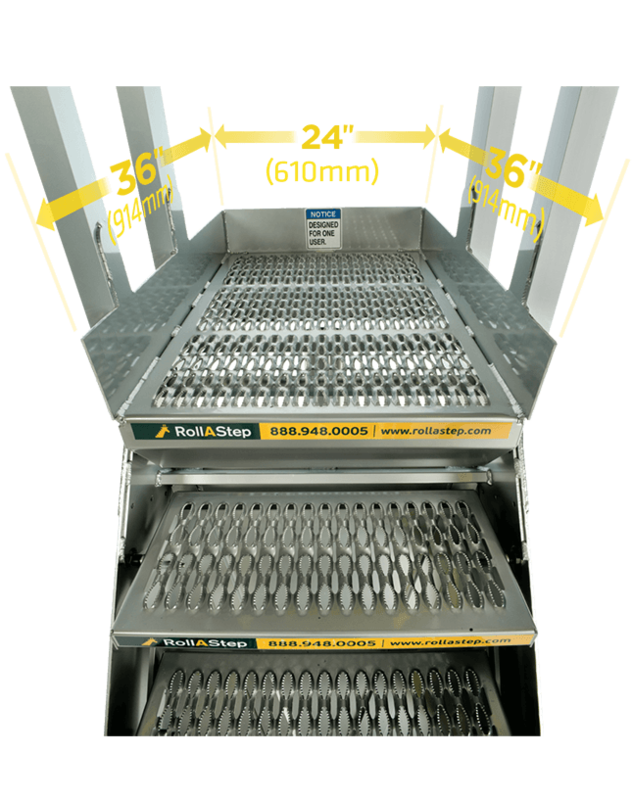 Its 24”(609.6mm) wide steps and six square foot platform self-level to present a safe walk and work surface throughout its working range. The aluminum upper, galvanized steel base and stainless hardware is built to last, both indoors and out. Our unyielding, self-draining tread, is featured on all platforms and steps. This pattern provides safe, all-weather access in both rain and snow and reduces ice build up. 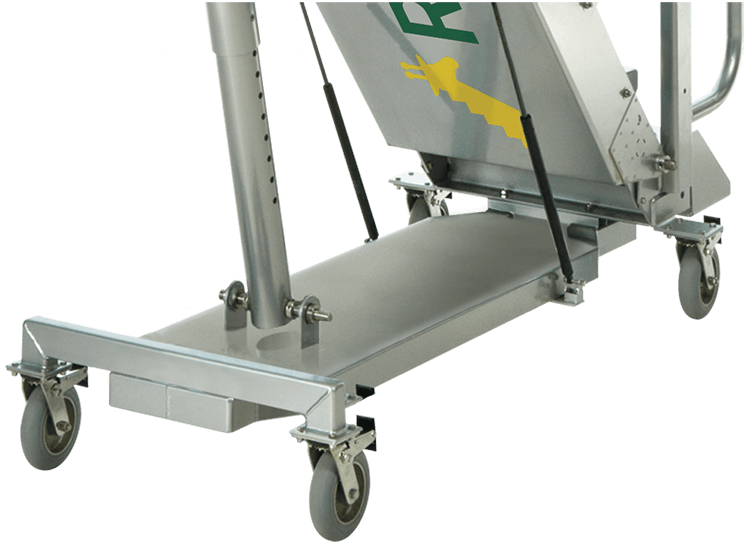 The lightweight and high-quality casters make this rolling gangway easy for a single user to position. The soft 360° swiveling casters are easy to roll both indoors and out and allow precise placement around sensitive equipment.